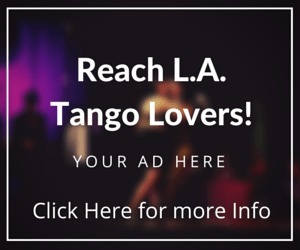 Thousands of people have gone through the doors of The Tango Room in Sherman Oaks, California for the past 20 years and have come out as skilled Argentine Tango social dancers. 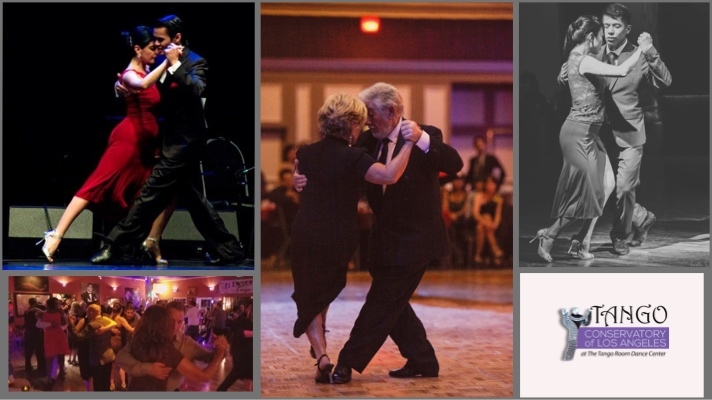 These dancers have joined a tribe that consists of tangueros throughout the world — people who love the art of tango, the connection, the romance, and, yes, the sensuality. We tango dancers also love the social aspect of coming together with like-minded people week after week, year after year, to share a unique passion. I could go on about this passion that envelops new and seasoned dancers alike and drives them to dress up, put on their tango shoes, and slip out their front doors night after night to be embraced by another person in this timeless dance. 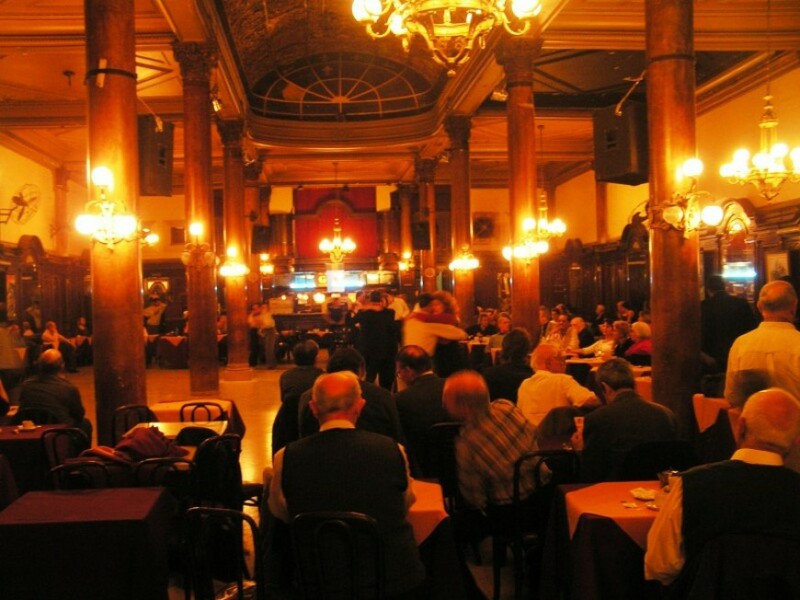 But it is sometimes hard to explain to those who have not yet tried tango. I can say that these tangeuros come back home past midnight, sometimes as late as two, three, or six in the morning, take naps at work, and go out dancing again two to six nights a week, if possible. This is what tango does to you once you are hooked. Now a new school of Argentine Tango is opening next week that will teach and train a whole new contingent of tango tribe members. 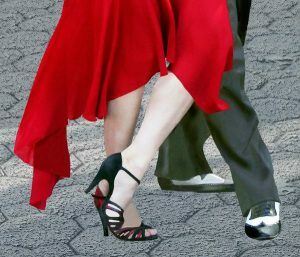 The Tango Conservatory of Los Angeles (TCLA) will start weekly classes Oct. 3, 2018, at The Tango Room Dance Center in Sherman Oaks. 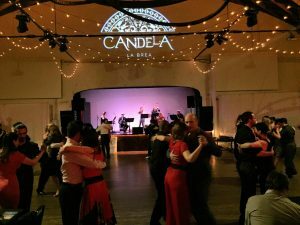 While TCLA founders Julie Friedgen and Angel Echeiverra, along with world-renown guest tango instructors, have offered tango classes at The Tango Room for years, they have mostly operated on a drop-in class basis. 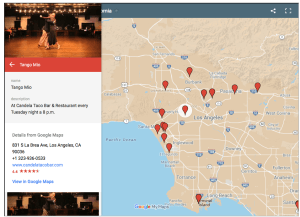 TCLA is structured to give ongoing weekly tango classes in monthly segments, from one to three month periods, so new students will grasp the art and technique of tango from A to Z. Our goal is to give students a deep proficiency in social tango. To help students experience the moment that when the dance works, neither leader nor follower is conscious of the physical. TCLA operates with membership packages, which has the double-benefit of commitment to learning tango and a deep discount on pricing. While the school will accept students who prefer to pay at the door without registering, Friedgen highly recommends the membership signups. “Drop-ins will be accepted ($20 for one-hour class $5 for half-hour practica) but once you fall in love with tango and find that a once-a-week class isn’t enough, you’ll realize the monthly packages are the only way to support your new addiction!” Friedgen says. Full disclosure: The Tango Room and its founders are marketing client’s of mine, whom I provide services through my company CrackerjackScribe.com. That being said, I wrote this because I find the effort to bring new people into our tribe wonderful. We need more men dancers!